The first thing you need to do is go to the website of Casino.com. There’s a green “Join Now” button in the top left corner, you can’t miss it. Simply use it to start the registration process. A web form will be displayed and you be required to fill in some personal details. Also, you will have to pick a username and a password that will be used for logins later on. Finally, enter the bonus code SPINMAX to qualify for the welcome offer of Casino.com. You can get 20 free spins by simply opening a new account at Casino.com. The operator won’t require you to deposit, so you can actually build a bankroll from scratch. The free spins will be automatically credited to your account once you complete the registration process. You can use them on the popular slot Age of Gods. Your winnings from the spins are capped at £100. Also, Casino.com will transfer them as bonus funds that must be wagered 20 times prior to withdrawal. The trick is you need to wager them on Age of Gods, so make sure you don’t play other games. This offer is exclusive with the bonus code indicated above. When you’re done with the welcome offer, you can keep earning with the Casino.Com VIP Club. The main idea behind this ongoing promotion is to give back to the loyal customers of the operator. The VIP Club of Casino.com has 5 different tiers. Each of them unlocks more and more benefits. To climb the ladder, you need to get as many loyalty points as possible. They are awarded each time you place a real money wager The other thing that counts is the amount of money you have deposited to your Casino.com account. Thanks to the VIP Club, you can enjoy deposit bonuses, personal manager, and many other special gifts. Most notably, you can exchange the points you gathered for real cash. The Happy Hour promotion by Casino.com runs daily from 19:00 to 21:00 GMT. For every £10 during this timeframe, you will receive 10 free spins. The maximum you can get from the Happy Hour offer is 100 free spins per day. All of your winnings from them will be credited to your account as a bonus. Casino.com will give you 30 days to wager them 40 times prior to a withdrawal. To qualify for the promo, make sure to use the bonus code “Happy” before you make your deposit. Casino.com has another regular offer called Funky Friday. As the name suggests, it starts each Friday, at 00:01 GMT to be precise, and continues till 23:59 GMT on Saturday. During this period, the casino will pick one game and you will have the chance to win a bonus of £5 on it. You only have to go to your account section and use the code “Jack”. Casino.com will credit you with the bonus on the selected game. If you manage to win, your prize must be wagered 40 times prior to withdrawal. The maximum winnings from Funky Friday are capped at £5,000. Obviously, the ongoing promotions of Casino.com provide more than enough opportunities to win cash, free spins, and other bonuses. You can take advantage of this by signing up today with the Casino.com Bonus Code ‘SPINMAX'. This doesn’t mean you won’t have other chances, though. The casino is spoiling its customers with some extra deals on a regular basis. It would be a good idea to stay alert so you don’t miss any juicy limited-time promotion. The current website of Casino.com has nothing to do with the original web page of 2008 when the operator entered the market. It has been improved multiple times, with the sole purpose of staying relevant to modern technologies and the needs of the players. As a result, you will see a pretty clean design that is easy on the eyes. The simplicity was the main priority in the user interface as well. The games are well-structured and there are plenty of quick links. Since most products of Casino.com are available for instant play, this is quite useful. The client of the casino is still active, so you could instead download it to your computer. It gives you access to a couple of more games. Similarly to the website of Casino.com, the software is easy to use and looks good. Live Casino: the selection of games is completed by the live casino. Here, you can experience realistic tables with live dealers. The games included are roulette, blackjack, baccarat, Hi-Lo, 3 card poker, and Casino Hold’em. You can pick between different limits and various sets of rules. Other options: if you are not satisfied with the payment methods so far, you can use prepaid cards, bank transfers, or some of the local options Casino.com offers for your country. Finally, the operator is among the few experienced platforms that work with Bitcoin. You can deposit or withdraw using the cryptocurrency. You shouldn’t have any doubts about the safety of your money, as Casino.com encrypts each transaction with top-notch SSL technologies. This protects your privacy as well. Another safety layer is provided by the gambling commissions of Gibraltar and the United Kingdom. They are the regulators behind the gambling license of Casino.com. We would recommend you to check the Help section of Casino.com for simple questions related to the games, promotions, payments, or other aspects of the service. It contains plenty of information on those and other topics. If you can’t find what you’re looking for or you have a more serious problem, it’s time to contact the customer support team. Casino.com makes sure the staff is available 24/7. The fastest way to reach an agent would be to use the live chat feature. You could also use the phone lines, there’s one for the United Kingdom and an international one. Finally, you could also send an email to the support team and they will get back to you rather quickly. 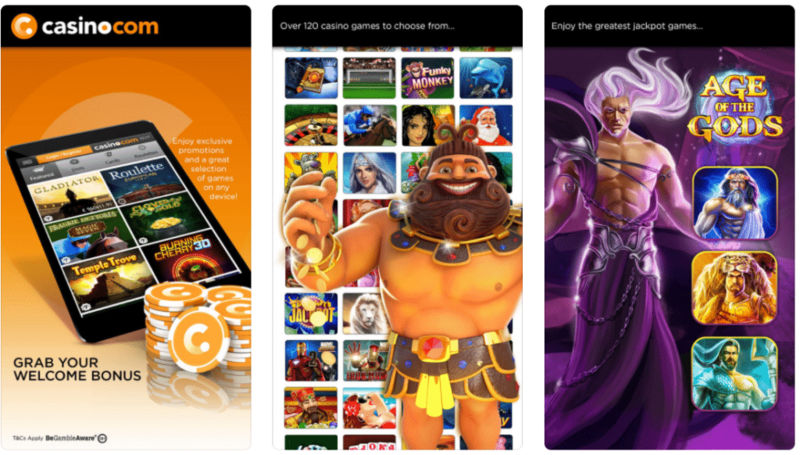 People with Apple devices can simply go to the iOS App store and get the native app of Casino.com. The design is nice and the performance is great. As for the selection of games, there are mostly slots available, but also at least a couple of games from each of the categories. If you have an Android phone or tablet, you could also install a native app designed especially for such devices. The level of the quality and the games available are impeccable. If you don’t want to install an additional app that would eat memory space, you could use the mobile-responsive website of Casino.com. It will adjust to all modern phone and tablets, including iOS, Android, and Windows Phone. Simply open the page on your device and it will automatically pick the best settings. As a result, both the graphics and the speed will be optimal. Once again, most of the game available on the go are slots, but Casino.com made sure to include some video poker, table games, and even the live casino section. Note that our SPINMAX bonus is valid for the mobile site, desktop, or in-app registrations. There is a reason Casino.com managed to survive in such a competitive environment since 2008. The operator is always trying to improve its platform, add new promotions, and make the customers happy. As a result, Casino.com offers a great selection of exciting games by some of the best studios in the industry. You too can benefit from the offers and promotions available by signing up with the Casino.com Bonus Code ‘SPINMAX'. Another huge advantage is the promotions department. Casino.com welcomes each player with a large bonus and keeps on giving through the many other ongoing offers. The best thing is that you can get both the promotions and games on the go, thanks to the smooth mobile apps of the operator. Our honest opinion is that Casino.com is among the top online casinos on the market. It’s also one of the safest, thanks to bullet-proof security and proper licensing. 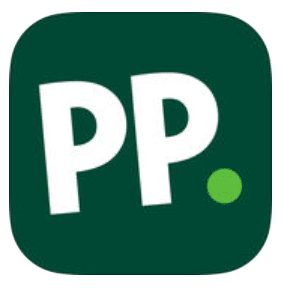 Initially, Paddy Power Casino offered only a downloadable client powered by Playtech. While the additional software is still available, things have changed a lot. Nowadays, you can play almost all of the games instantly. Paddy Power Casino also added titles by other developers such as NetEnt, so the portfolio is awesome. The background of Gala Casino is similar to Genting. It is the online platform of a large owner of land-based casinos across the entire UK. The company has a nice selection of games and a smooth mobile version. What we like the most, though, is the flexible welcome bonus. Unlike other operators, Gala Casino lets you pick yours depending on the games you intend to play. This way, the fans of roulette and blackjack can take advantage of a viable first deposit bonus. No bonus code is required to get the £20 no deposit.